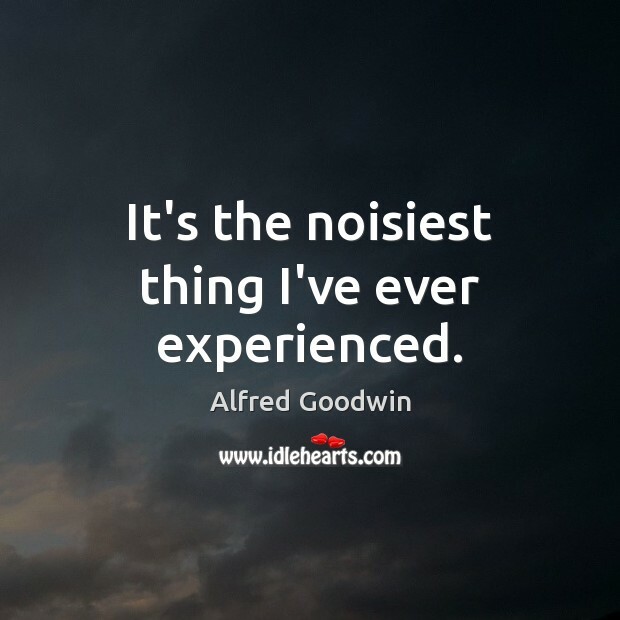 Enjoy the best inspirational, motivational, positive, funny and famous quotes by Alfred Goodwin. Use words and picture quotations to push forward and inspire you keep going in life! 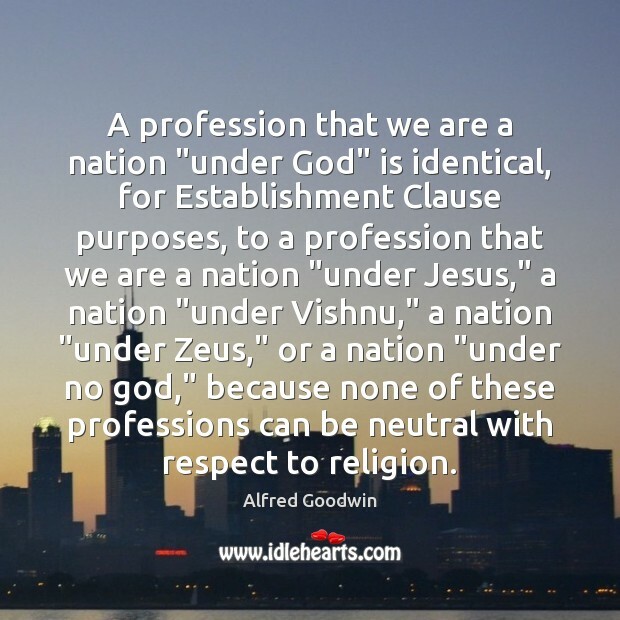 A profession that we are a nation "under God" is identical, for Establishment Clause purposes, to a profession that we are a nation "under Jesus," a nation "under Vishnu," a nation "under Zeus," or a nation "under no god," because none of these professions can be neutral with respect to religion. 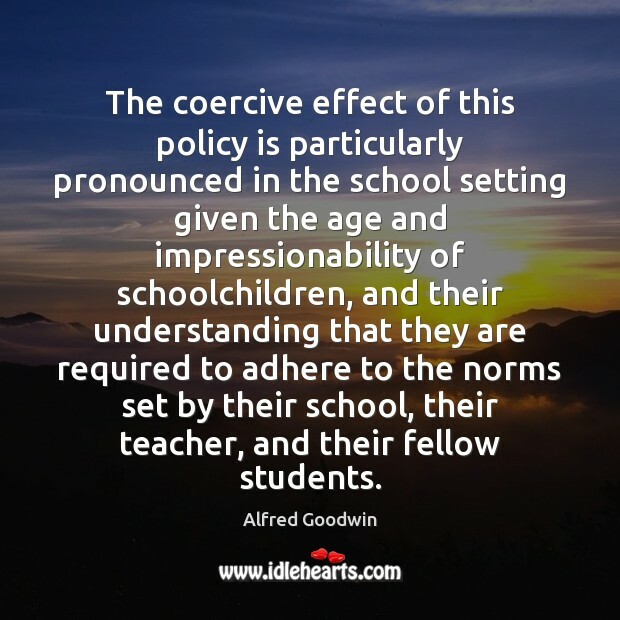 The coercive effect of this policy is particularly pronounced in the school setting given the age and impressionability of schoolchildren, and their understanding that they are required to adhere to the norms set by their school, their teacher, and their fellow students. It's the noisiest thing I've ever experienced.